SAN RAFAEL — Kitaro will perform on Thursday, April 20, at 8 p.m. at the Showcase Theater, 10 Avenue of the Flags in San Rafael. Presenting a totally unique visual experience, the live in concert presentation of “Kojiki and the Universe” merges Kitaro’s Grammy nominated music from the album “Kojiki” with space-age photographic scenes of the universe. “Kojiki and the Universe Live” features time-lapse images, expertly intertwined with real-time films provided by and in cooperation with NASA and Kyoto University. Created by Kitaro in collaboration with astronomy professor Kazunari Shibata, the entire production was developed using modern film editing techniques, as well as state-of-the-art hardware and software. 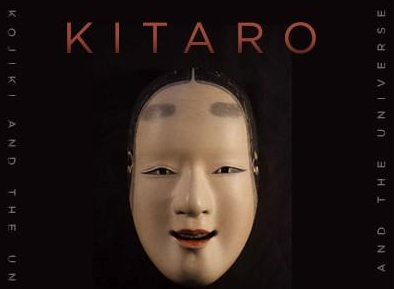 This once-in-a-lifetime, uniquely intimate concert is the only U.S. date on Kitaro’s world tour. In Japanese mythology, “Kojiki” is a story closely related to evolution of the universe. It describes the origin of heaven, earth and the creation of the gods. Utilizing Kitaro’s “Kojiki” score as the soundtrack, “Kojiki and the Universe” is a chronicle of astronomical research as well as a beautiful introduction to modern astronomy for everyone. Tickets are $200 (VIP), $75 and $55. For reservations, go to https://tickets.marincenter.org/.